Is your dog’s voice driving you barking mad? 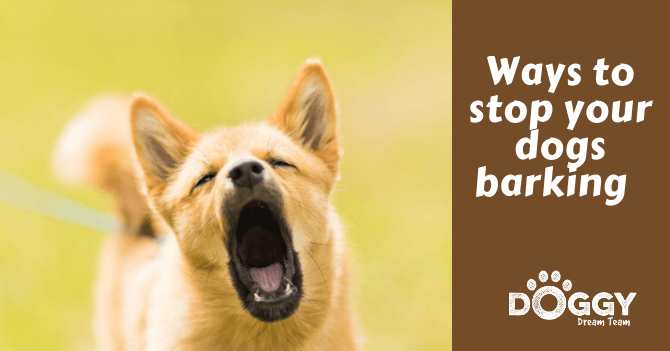 This article is for anyone who has tried and failed to solve a dog barking problem. What does dog barking mean? When you understand why it’s a dog’s job to bark and it’s normal dog behaviour, you can respond in an empathetic way that gives the dog permission to stop. Barking: We asked for it! Dogs are man’s best friend for a reason, and we bred them that way. And part of the package of wags that made the species such a success was their useful talent for barking to raise the alarm. Now, while barking to warn a caveman of an approaching wolf was a help, it’s not so great in our modern homes. Interestingly, gaining an insight into how dogs took their place by the hearth, gives us a powerful tool to reduce nuisance barking. The primitive man stumbled into partnership with dogs. Around those early campfires was discarded food and rubbish. This made an attractive, low-risk meal for a scavenging dog. And fewer food scraps meant less vermin, so man and dog made up the dream team. Think of the dangers to a primitive man from predatory wildlife. To be safe from attack this meant someone sitting up all night, to sound an alarm if attacked. But when dogs curled up by the fire, they could do the watching instead and raise an alert by barking. Barking was useful as an early warning. This normal dog behaviour alerted our ancestors to visitors, foes, threats, and anything out of the ordinary. As it happened, this could potentially save lives and thus a welcome trait for any dog worth their salt. So early man stepped right on in and bred together the dogs with the loudest voices that made the best guards. It made sense at the time. How where they to known that millenia later we’d be living piled on top of one another rather than in des-res caves? Oh, and did you know that true wild dogs rarely bark. This is one of the differences between domestic dogs and wild ones…and goes to show the real impact living alongside man made to their evolution. The Doggy Doorbell: Why Do Dogs Bark at the Door? Step forward several million years to the modern day. The postman knocks, sending your dog into a barking frenzy. You shout at the dog to be quiet, but he carries on regardless. What does dog barking mean? But when you shout back, to the dog it sounds like you’re making a ham-fisted job of joining in. So instead of being quiet, because their master is on top of the situation, dog behaviour means they feel duty-bound to carry on raising the alarm. In their mind, you’re barking too so the threat must be real. Best keep barking then. Hence a round-robin of dog barking nuisance noise. Instead, you simply have to acknowledge you heard the dog’s warning barks. You can spot this type of barking because the dog will woof a few times and then pause (briefly) to listen. Fido now understands it’s under your control so they can stand down. This is what the dog wants. They want you to step up as head of the household and make a decision about whether this is dangerous or not. The dog then takes their lead from you. If you are chilled and take control, then they don’t have to be alarmed and can stop sounding the alarm. But not all barking is about warning; dogs bark out of excitement or to greet one another. But again, this is annoying, especially if you’re trying to talk to the person on the other end of their doggy friend’s leash. But once again, an understanding of how and why dogs evolved to bark, gives the key to correcting this annoying habit. This time think back to wild dogs. It’s a disadvantage for a wild dog to be too vocal, as it can draw the attention of a predator. If a puppy barks at its playmates, the mother dog may silence it to keep the nest safely hidden. The mother-dogs only had to do this a few times and the pups learned to be quiet. 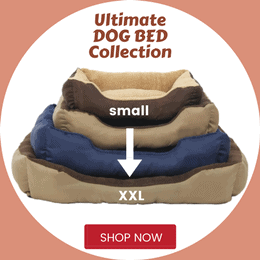 How do you apply this to your dog? If your dog is mouthy in public places, first get them to sit by your heel. This may be a trial all of its own. If it is, then first beef up basic obedience training so the dog learns to listen to your commands. With the dog sitting, simply place your palm over the top of the dog’s muzzle and push their chin down towards their chest. At the same time, is a firm deep voice say “Quiet.” Then when the dog does go silent, praise them and give a reward. You’ll notice there’s no threat or violence used here. Just the judicious use of pressure and a firm but fair command. All very well in theory, you say, but what about when..? Let’s apply empathetic but effective principals to two triggers that cause excessive dog barking. The dog barks, you shout. Yeah! The dog wins, because what you just did is give the dog attention. OK, so you tried “Thank you Fido, I’ll take this now,” but the dog is now a habitual barker. Instead of shouting at him, which incidentally also rewards the dog with attention, try distraction strategies. Firstly, ignoring your dog’s barking makes a limited effect because barking is hugely satisfying in its own right to a dog. Instead, try playing with their favourite squeaky toy. Pick it up and examine it (accidentally squeaking it) as if it’s the most interesting object on the earth. To stop a dog barking at visitors takes quite a bit of work, but can be done. There are lots of different tactics, but all of which rely on diverting the dog’s attention. Be prepared to put in plenty of groundwork first, and ask a friend to help by being a stooge visitor. Training the dog to go and sit on a specific spot. Having an activity to do, such as going to a mat and sitting, as this distracts the dog from barking. Training the dog to pick up a toy the moment they hear the doorbell. This one is especially sneaky as it’s more difficult to bark when holding an object in their mouth. Put the dog in a separate room away from the door, when guests are due. Just be careful about accidentally rewarding dog barking. The dog barks madly at the door. You give the dog a chew stick to shut them up. This works like a charm because their mouth is occupied….But the next time someone comes to the door, the barking is even louder than before. The dog quickly learns that barking is rewarded by a chew stick. What’s not to like! Any excuse to burst into voice and they’ll woof away in the expectation of getting a treat. Uh-oh! Don’t fall for this one! So here we are, dog behaviour and our part in their barking bad habits. Dog barking is a natural behaviour that evolved alongside people’s need for safety. Only now it doesn’t have to be that way. You can empathetically but effectively put an end to nuisance dog barking but without your dog feeling any less canine for it. Woofs to that!